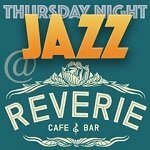 A week after the Peter Schimke Trio prompted standing ovations, Steve Kenny’s Thursday Night Jazz at Reverie brings together another ensemble with firepower to spare. 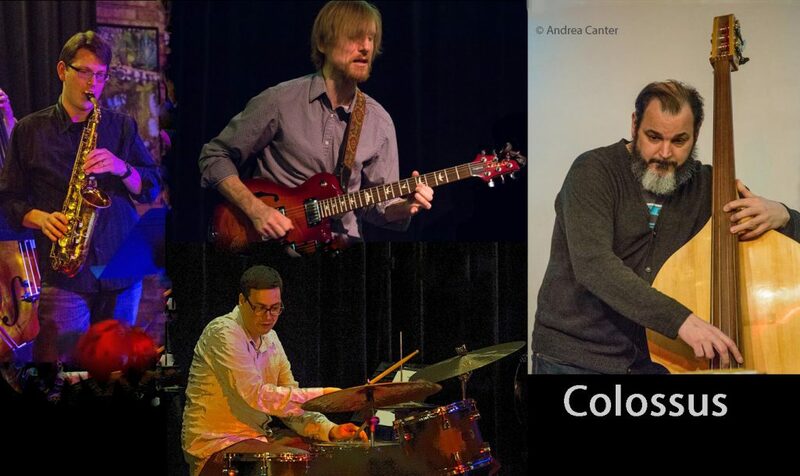 Dubbed Colossus, the talents of this new quartet bring validity to their name — Clay Pufahl on saxes, Park Evans on guitar, Chris Bates on bass, and Joey Van Phillips on drums. 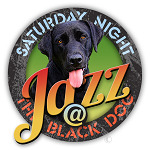 Music begins at 9 pm on March 30. 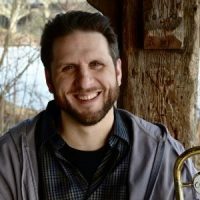 A 1998 graduate of the University of Wisconsin-Eau Claire, saxophonist/educator Clay Pufahl has performed with the Wolverines Classic Jazz Orchestra, Cedar Avenue Big Band, Skyway Big Band, Five by Design, B4 (swing band), the Minnesota Orchestra, the Four Tops, Lou Rawls, Franki Valli, and Minneapolis-based groups the Senders and Soul Tight Committee, as well as performing in productions at the Chanhassen Dinner Theater, Minneapolis Children’s Theater, The Guthrie, and Ordway Theater. 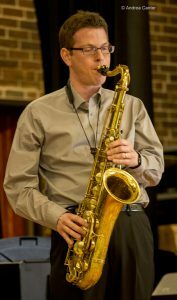 Clay has also been affiliated with the JazzMN Orchestra for many years, and recently launched Really Big Shoe with fellow saxman Joe Mayo. His teaching resume includes several years as woodwind and jazz instructor at Totino-Grace High School in Fridley. Park Evans grew up in Ithaca, NY where he studied classical guitar. Although he relocated to Minnesota to further his classical training, he found himself studying with jazz guitarists Kevin Daley and Dean Magraw, and was soon a integral part of the Twin Cities jazz scene. Performing in bands from rock to jazz to world music, Park’s credits include Firebell, Parker Paisley, New Primatives, Radio in the Desert, and These Modern Socks. 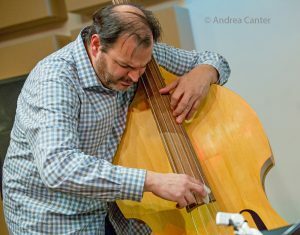 He also works with vocalists Katie Gearty and Sophia Shorai, guitarist Mike Michel, and cellists Michelle Kinney and Jacquelline Ultan. 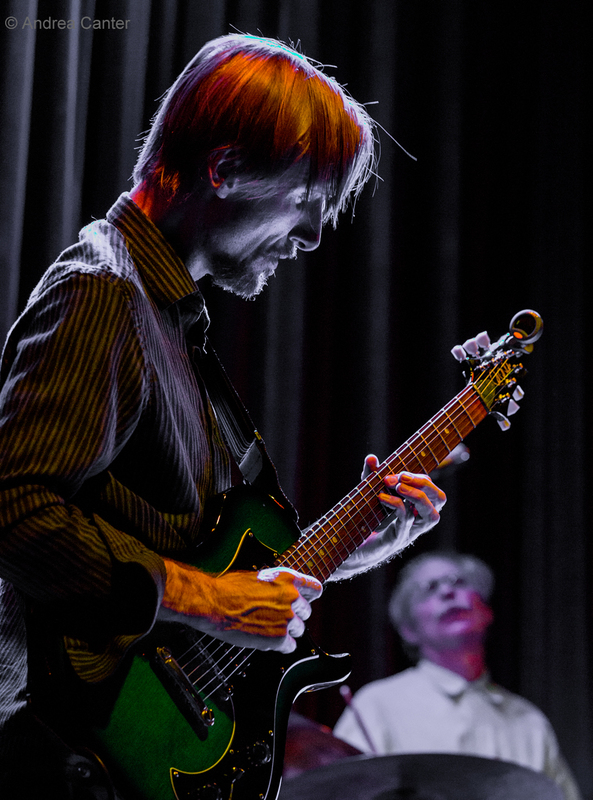 Over his career, Park has performed with Elliot Humberto Kavee, John Scofied and Anthony Cox. 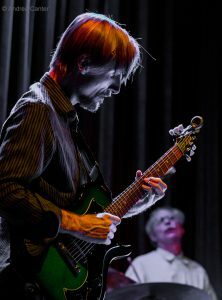 He’s released three recordings of his original music (Impossible Party, Surviving Desire, and Satori for a Hungry Ghost), and is a first-call studio musician, as well as guitar instructor (Music Connection, Rymer-Hadley Center for the Arts, and Rogers School of Music). Chris Bates is well known locally for his affiliations with the Atlantis Quartet, Red Planet, Volcano Insurance, Framework, How Birds Work, Tall Tales, Leisure Valley, Pushing Chain, Bill Simenson Orchestra, Adam Meckler Orchestra, and many other cutting edge ensembles in addition to his own bands, the Good Vibes Trio and Red Five, both of which released debut albums in the past few years. 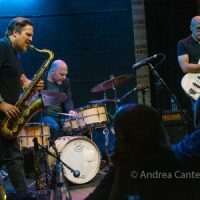 He recently revived another vibes trio, Low Blows, launched the Dimensions and Inventions Trio with Joe Strachan and Matt Buckner (now Miguel Hurtado), and curates a monthly improvisation series at Jazz Central, one Wednesday night per month. Chris studied at the University of Wisconsin–Eau Claire and later with Anthony Cox, was an original member of the Motion Poets, and a 1999 McKnight Composer Fellow. He was one of four jazz artists to be awarded a composition commission from Zeitgeist, which was premiered at the 2014 Twin Cities Jazz Festival. He shares a recent McKnight Award with his cohorts in the Atlantis Quartet. 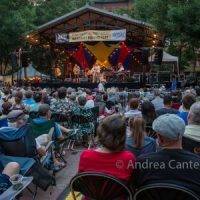 Minneapolis native Joey Van Phillips is a 2001 graduate of St. John’s University, a former student of JT Bates and Bruce Thornton, and veteran of international touring, Broadway musicals, and improvisational projects on the Twin Cities jazz scene. 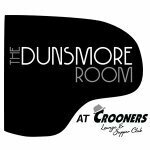 His highest profile gigs here have been with rapper/poet Dessa and the rap collective Doomtree. 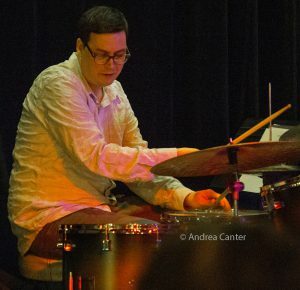 A composer as well as accomplished percussionist, his works were recently premiered by the St. Olaf College Percussion Ensemble directed by Dave Hagedorn. Joey has taught locally for the past decade, offering private lessons, clinics, and master classes in drum set and mallets.